One more year from November 24 to December 2 we will celebrate the TitirijaI – International Puppet Festival of Tolosa. A festival in which, this year, through the streets we will be able to meet an elephant that will come by the hand of our friends from the Centre of Titelles from Lleida – awarded this year with the National Prize of Culture of Catalonia -, also some wagons of our dear friends of Family Theater where we can see the wonderful show of Manoviva, or the no less delicious Antipodi show. 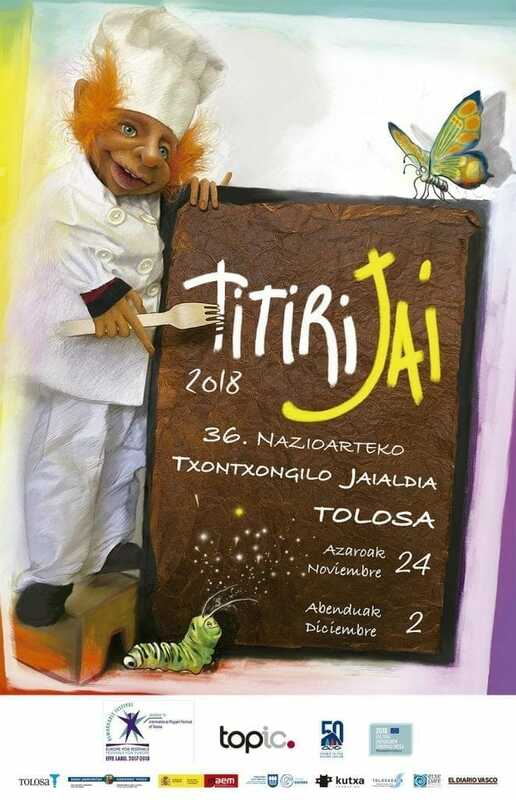 We will enjoy shows for the smallest of the house and for the older ones, shows for all audiences and for school children at TOPIC theatre and Leidor Theatre too. Well, the rest we will leave for later, but reserve the dates, a very, very appetizing Festival awaits you.